Once you’ve tried one (or both) of these fudge sauces, you’ll never go back to the store-bought kind. On the left is a classic hot fudge sauce, and on the right is a vanilla bean white chocolate fudge sauce that tastes sort of like marshmallow topping. 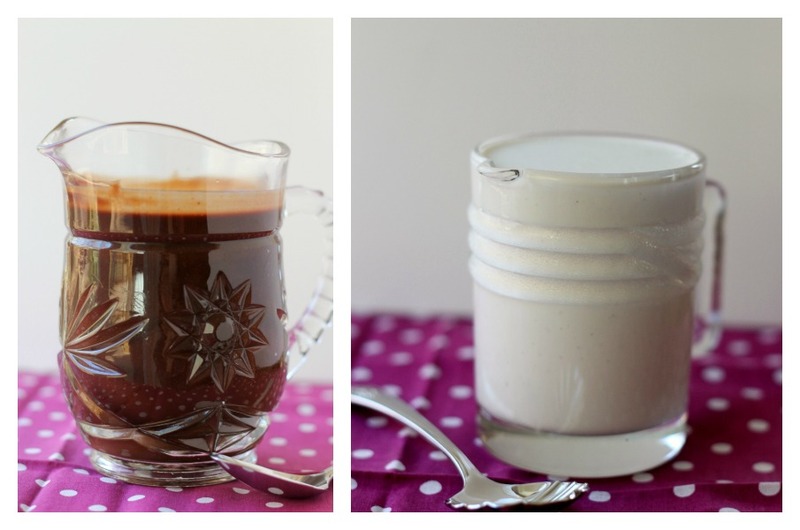 Both are crazily delicious and go well over a multitude of ice cream flavors. Our intention was to share a healthy chocolate ice cream with these two sauces, but sadly, it was a somewhat icky failure so we won’t be sharing it. That doesn’t matter though, because these sauces are amazing and definitely worth posting about! Also, we think the sauce is generally the best part of an ice cream dessert anyway. 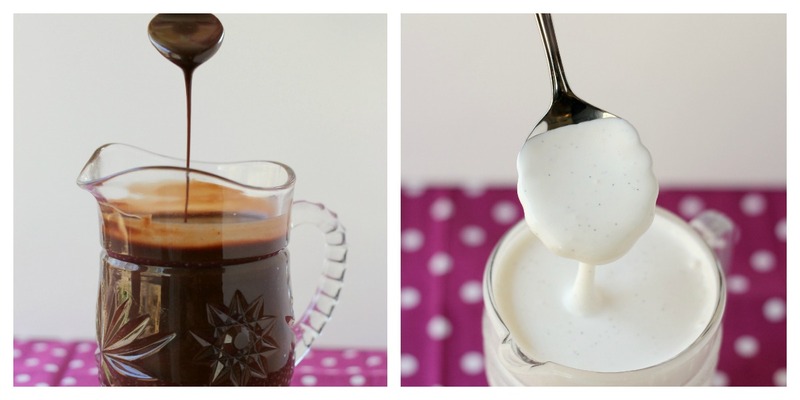 The vanilla bean white chocolate fudge sauce is equally easy and includes marshmallow fluff, heavy cream, lots of vanilla, and of course white chocolate! It was so, so good and probably would be ideal over strawberry ice cream! We’ll be trying that sometime soon. In a 2-quart saucepan over medium-high heat, bring the cream, syrup, brown sugar, cocoa powder, salt and half of the chocolate to a boil. Reduce the heat to medium-low, and cook for 5 minutes, stirring occasionally. 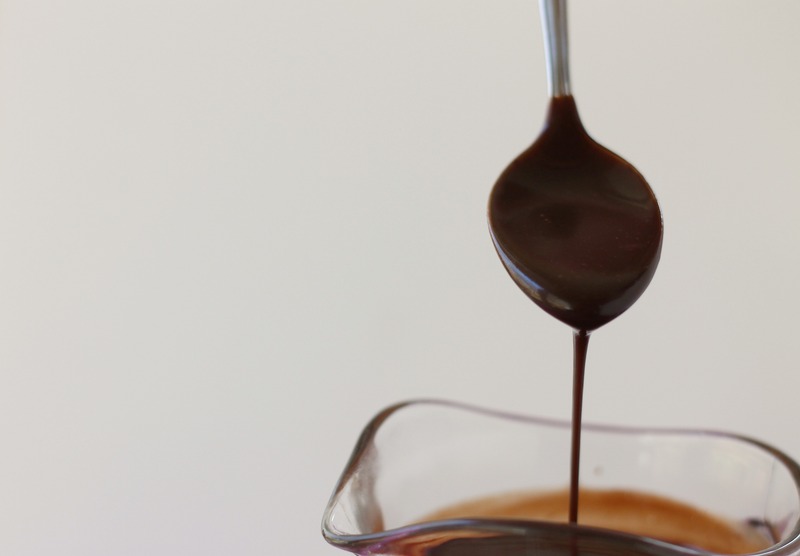 Remove from the heat and stir in the remaining chocolate, the butter, and the vanilla extract, stirring until smooth. Let cool for 20 to 30 minutes before using (it will thicken as it cools). Store in a jar or airtight container in the refrigerator for up to 2 weeks. To reheat, microwave for 30 seconds to 1 minute until it’s pourable but still thick. Enjoy! Combine marshmallow creme, white chocolate, corn syrup, cream, and salt to a heatproof bowl. Set the bowl over a pan of simmering water, and stir until the sauce is melted and smooth. Remove the bowl from the heat and stir in vanilla extract and seeds from inside the vanilla bean. 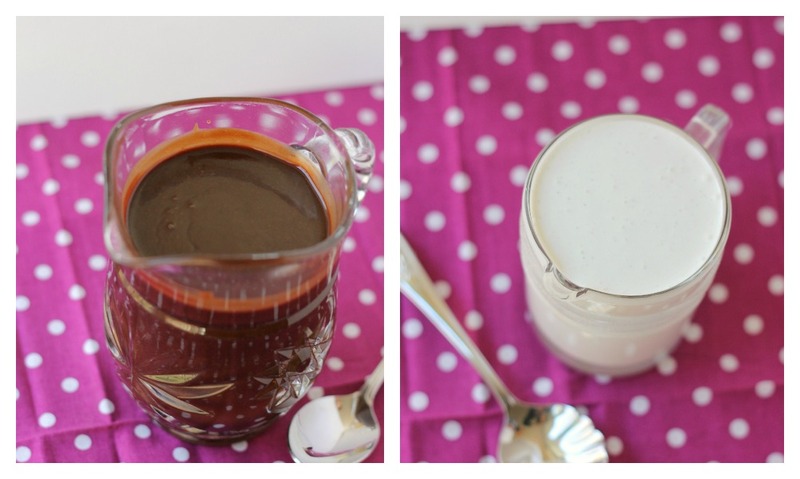 Pour the sauce into jars and serve warm over ice cream. Store in the fridge for up to a week. Enjoy!